Formfit Shoulder Brace is designed to provide immobilization following shoulder injury/surgery. With its streamlined fit, sporty look and breathability it offers excellent comfort and ease of use. Same as its predecessor, the SmartSling®, the Formfit Shoulder Brace also provides abduction of the shoulder (when the abduction pillow is attached), or external rotation of the shoulder (when the external rotation pillow is attached). 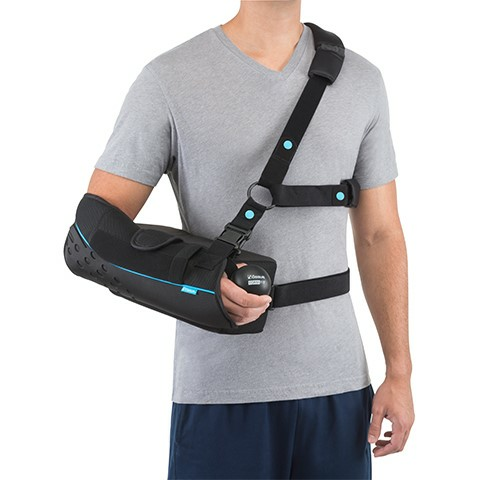 The versatile shoulder brace is also available with a customizable airplane kit for patients that require precise positioning following shoulder surgery. Optional axilla pillow available for purchase helps distribute weight over a larger surface area and decreases pressure on the ulnar nerve.